LIMITED SLOTS AVAILABLE! BOOK YOUR TEAMS TODAY! 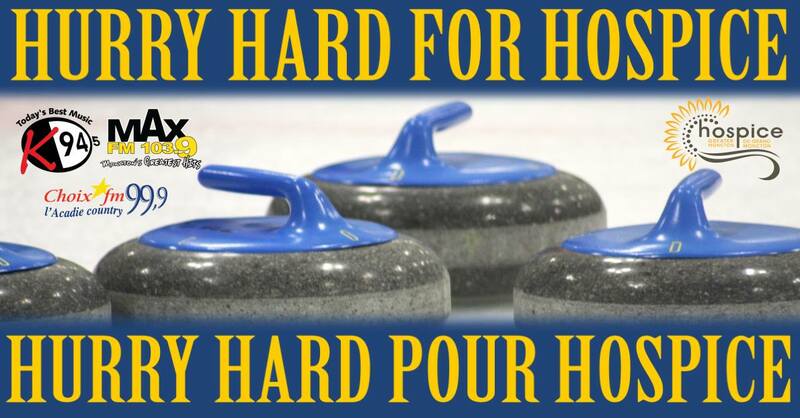 Come out for a great time with your friends & co-workers, while helping Hospice Greater Moncton raise funds for a 10-bed palliative care centre at their 2nd annual Hurry Hard For Hospice! There will be prizes, silent auction, a lunch, & 2 ice times! Never tried curling before?? That’s okay — new curlers are welcome! 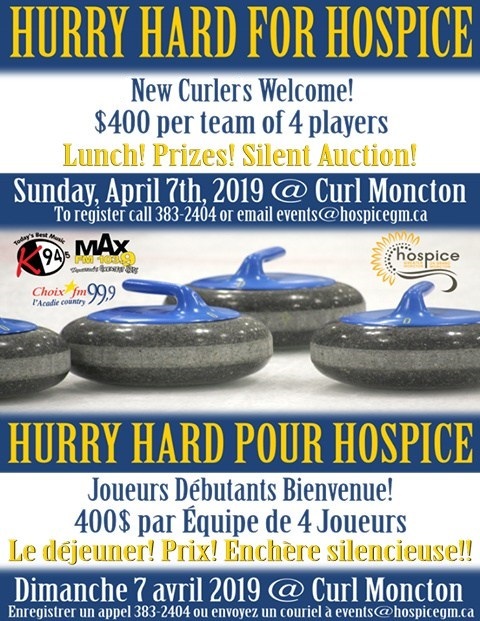 Hurry Hard for Hospice will be happening Sunday, April 7th at Curl Moncton, 80 Lockhart Avenue! Cost is $400 per team of 4 players; pledge sheets available through Hospice Greater Moncton, 164 Collishaw Street. To register, contact Krysta with Hospice Greater Moncton at 383-2404 or email events@hospicegm.ca!